Boots is the UK’s leading pharmacy-led health and beauty retailer. With over 2,500 stores in the UK, ranging from local community pharmacies to large destination health and beauty stores, their purpose is to help customers look and feel better than they ever thought possible. Boots mission is to be the first choice for pharmacy, health and beauty – caring for people, customers and communities everywhere; championing everyone’s right to feel good. Christmas is now nearly upon us and those last minute shoppers will be thinking about what to buy their loved ones. When it comes to finding the perfect gift, the key is to show the recipient that you have given their present time and thought. I have always told my friends and family that I love gifts that have clearly had a lot of thought put into them, from my husband gifting me a photobook of my late mum and a bottle of her favourite perfume to my little cousins making me cards and gifts of play dough sculptures and glitter, those are the ones I cherish the most! Whoever you are shopping for, Boots have a variety of Christmas gifting options, from luxe advent calendars and beauty buys to creative stocking fillers and adventurous gift experiences. Boots have invited me to take part in their 50 Days of Christmas Campaign, whereby I partner with Boots UK to select Christmas gifts for those who are special to me. I chose these gifts for my auntie. As she travels a lot and has her own holiday home in Spain I thought these would be perfect for her suitcase! They go travelling anything between 2-4 times a year so buying toiletries that are the right size for travelling can be quite expensive so hopefully she will be really pleased with this lovely set! 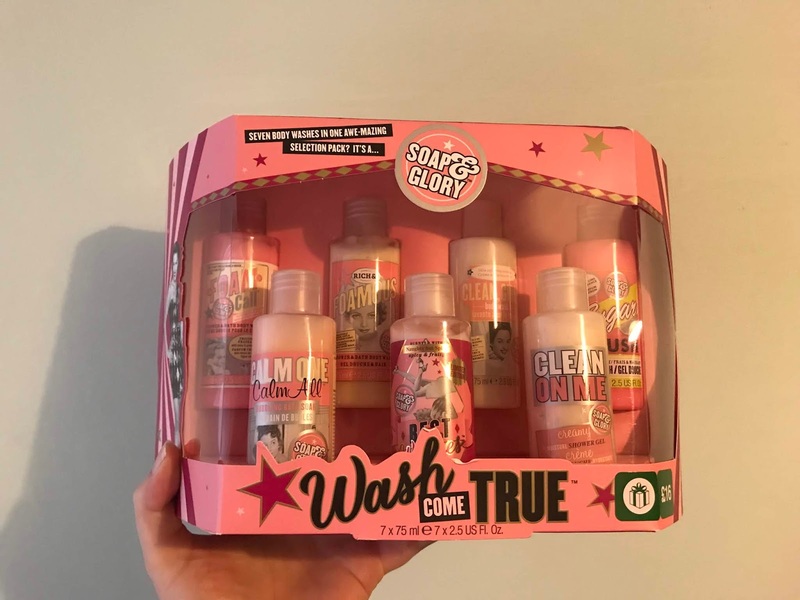 The Soap and Glory Wash Come True Gift sets includes seven body washes! Featuring perfectly travel-sized treats in fragrances such as oat-y honey, floriental, zesty lime and many more! Each of the body washes smells so good and they have a pearlescent appearance to them, making them not only practical but attractive too! This set comes packaged in an iridescent box with all the goodies on show! This set compliments the Soap and Glory Set well as it is also perfect for travelling with all the miniature travel items inside. Especially in Spain the humidity can get unbearable so the Taming Anti Humidity bottle is perfect for keeping in your handbag for on the go use! 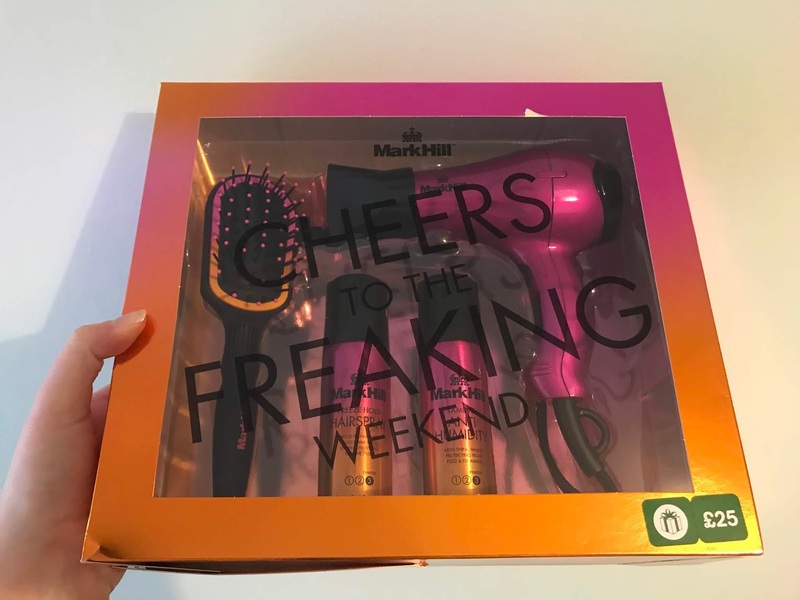 The mini hairdryer fits perfectly into your luggage saving you plenty of space to bring home any gifts you may buy. I absolutely love the Benefit make up range it is very well known and popular. 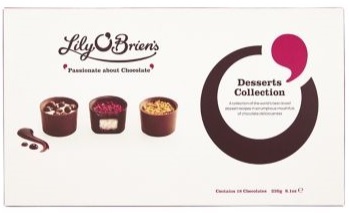 Their packaging is unique to them and instantly recognisable. 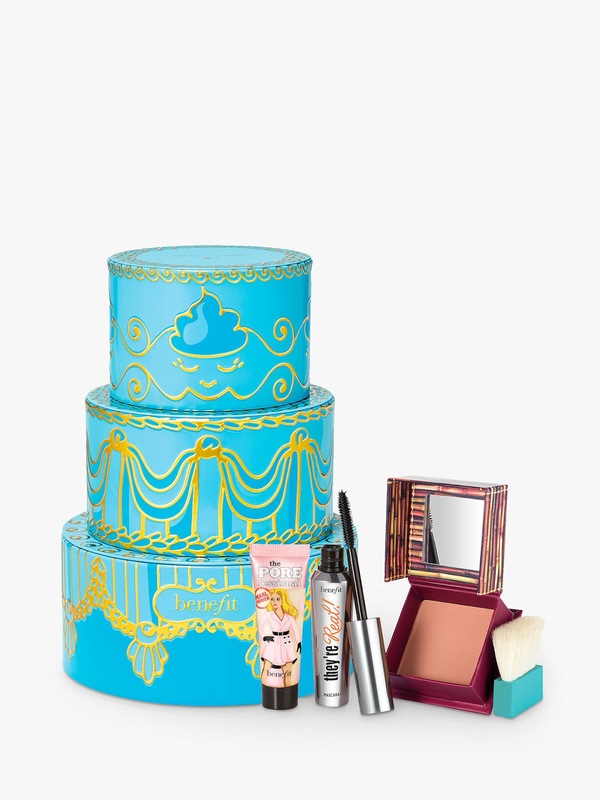 The Goodie Goodie Gorgeous set is one of Benefits Bestselling Makeup Trios. It is a recipe for flawlessness! Get long lashes, sun kissed cheeks and perfect pores! All wrapped up in a delicious cake inspired tin. This is simply gorgeous! I love the packaging and the designs on the bottles. This set is inspired by the gardens of Chatsworth stately home, and is packed with bath time treats. The collection is an indulgent blend of florals and neroli, with top notes of citrus and bergamot and a botanical finish of patchouli. 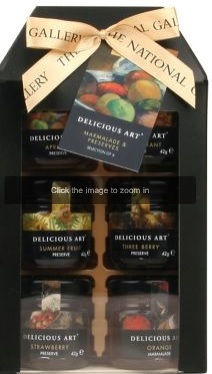 You really do get a lot for your money with this beautifully fragrant set. The Benefit Good Goodie Gorgeous Make Up Trio and Ted Baker The Fragrant Set will be gifted to my gorgeous cousin. She loves keeping up with the latest make up styles and products and experimenting with different looks so this will definitely suit her as well as the Ted Baker set which is in style and trendy and offers a beautiful range of fragrant body products. This is perfect as she is always on the go as she has a busy lifestyle where she works away a lot so these products will be just perfect for her. For my lovely nan here we have ‘A little Something’ Lip and Hand Care gift set at £5 as well as a Silver Crane Petticoat Tails Tin filled with 300g of All Butter Shortbread Petticoat Tails £6.50. 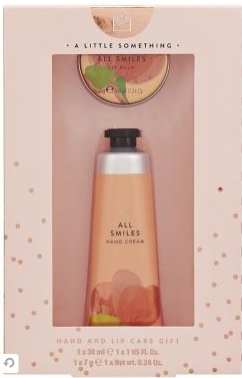 All Smiles Hand Cream and Lip Balm offer a floral, fruity fragrance with notes of Rose, Gardenia and Citrus. The hand cream is 30ml and the lip balm pot 7g. The hand cream smells really sweet and fruity and is a great size for popping into your handbag. I chose the petticoat tail biscuits for my nan as she loves a good biscuit! 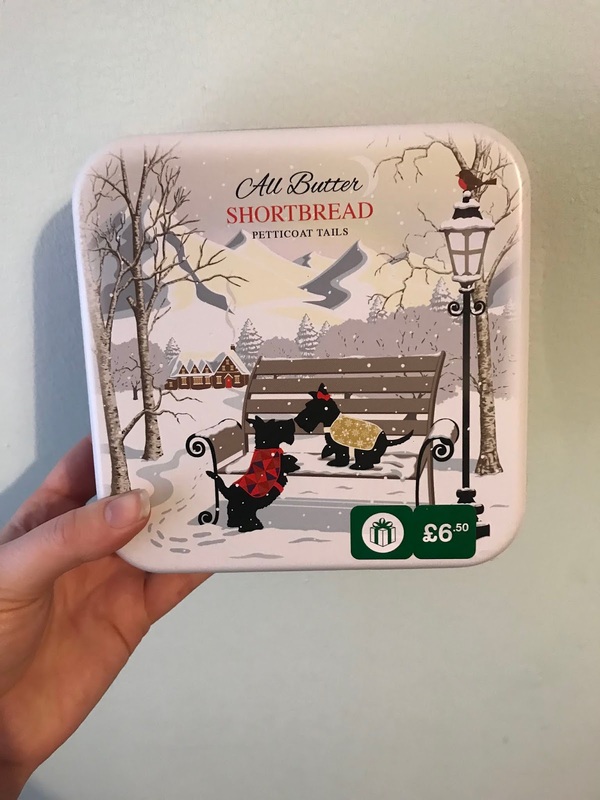 And these classic treats are yummy plus the design on the box attracted me to it as my nan used to have a similar dog, and she still really loves them. Ooh my mouth is watering at the thought! My mother and father in law really are a gift to us, they are always there when we need them and are always helping us out with something or other and we truly are so grateful to them both, so these little treats are the perfect way of thanking them. Don’t forget that a lot of these products mentioned are also included in Boots 3 for 2 offer so there are some huge savings to be had! What gifts have you got your eye on this season and what Boots products are you considering for your loved ones? 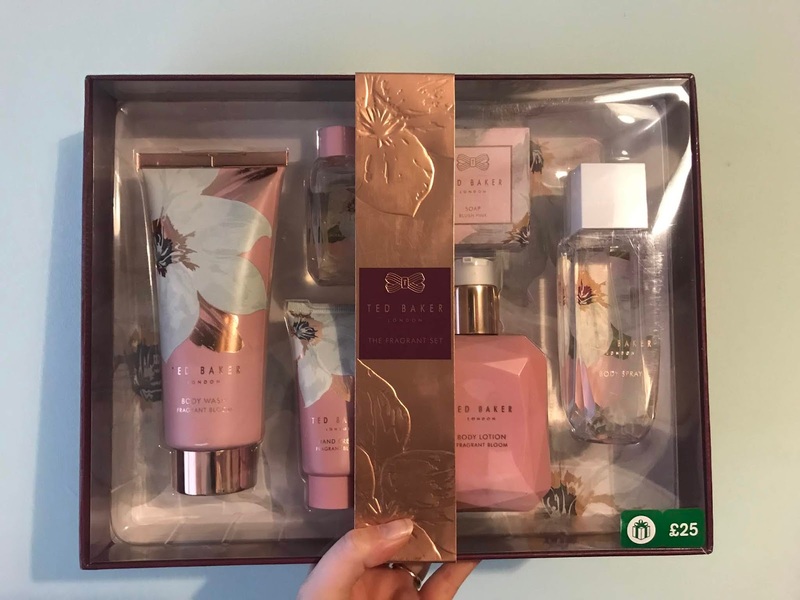 Ooh I have that Ted Baker set I love it so much I bought another for my mum! We also love the Benefit make up collection and obviously you can never go wrong with a box of chocolates!